Since taking office, U.S. President Donald Trump has signed a number of Executive Orders related to border security, refugee and asylum admissions, and immigration enforcement. These Executive Orders have been denounced by human rights bodies, migration policy experts, migrant communities, and civil society alike. They will have significant, costly, and damaging implications for refugees, asylum seekers and undocumented migrants. The Orders are expected to drastically increase the use of immigration detention in the United States and globally in the following ways. The Trump administration’s expanded definition of persons who are a “priority” for immigration enforcement—and therefore subject to immigration detention—includes virtually every undocumented person in the United States today. This means that an estimated 11.1 million people are at risk of detention, many of whom have lived in the U.S. for most of their lives and have family members who are citizens. 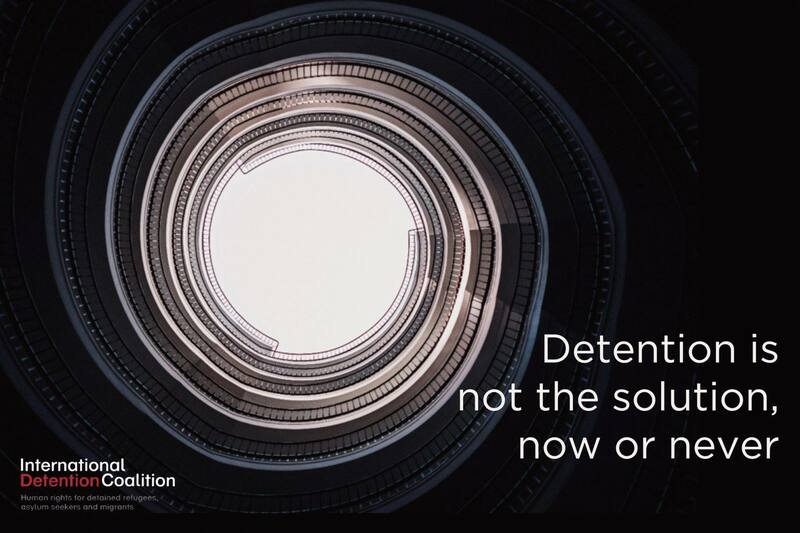 The elimination of discretion and priorities will lead to increased arbitrary or prolonged detention. Additionally, the Trump administration’s policies will target all new persons arriving to the U.S., regardless of vulnerability or protection needs. This includes asylum seekers, unaccompanied children and others in situations of particular vulnerability. The United States already operates the world’s largest immigration detention system, but the Trump Executive Orders call for a massive expansion of even this existing immigration detention infrastructure in order to meet the new demand that will be caused by eliminating priories and discretion, and ramping up apprehension and deportation efforts. The White House has instructed the DHS Secretary to “allocate all legally available resources to immediately construct, operate, control, or establish. . . facilities to detain aliens at or near the land border with Mexico.” (EO13767, Sec. 5). Such expansion will be costly and harmful, and not deter future immigration to the extent desired. The Trump administration seeks to hire an additional 5,000 Border Patrol Agents, who have the ability to return people immediately at the border or turn them over to ICE authorities to detain (EO13767, Sec. 8). Given Border Protection authorities have been criticized regarding allegations of mistreatment and neglect, this expansion of current practice raises concerns. The administration further seeks to hire an additional 10,000 federal “enforcement and removal” officers, who are tasked with arresting, detaining, and deporting undocumented immigrants (EO13768, Sec. 7). This expansion is also concerning given the history of abuse and even deaths within places of immigration detention. Trump’s Executive Orders explicitly request the DHS Secretary to seek expanded partnership agreements with state and local police under the INA’s 287(g) Program—a so-called “force multiplier”—which provides the legal authority for state and local officers to perform the functions of immigration officials, including interrogation, arrest, and detention of undocumented immigrants. This will lead to an exponential increase in the number of immigration enforcement officials, and a subsequent rise in the number of arrests and detentions. Additionally, the 287(g) Program has a wide range of critics, from local law enforcement to mayors’ associations, due to its detrimental effects on community trust and safety. According to available data from the U.S. Department of Justice, in 2012 there were a total of 1,076,054 full-time federal, state, county, and local law enforcement officials, or approximately 3.43 law enforcement officials per 1,000 U.S. residents. Only 32 law enforcement agencies in 16 states are currently participating in the 287(g) Program, many opting out of the Program so as not to harm their communities; but this could soon change. The Trump administration is also taking steps to ensure that asylum seekers remain in detention throughout the duration of their asylum procedure, leading to a de facto mandatory detention policy and blocking access to asylum for many in need of safety. The Executive Orders instruct the DHS Secretary to immediately assign asylum officers to immigration detention facilities for the purpose of conducting refugee status determination within the places of detention, and the Attorney General is similarly instructed to assign immigration judges to detention centers to conduct immigration hearings. As asylum courts continue to be backlogged, this could mean the prolonged detention of thousands of asylum seekers. 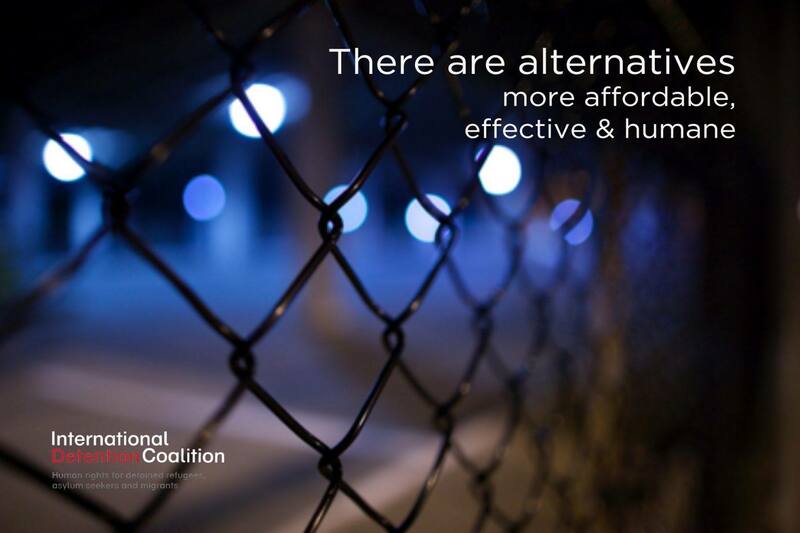 The Trump administration’s commitment to detention means that opportunities for alternatives to detention will also significantly narrow. For example, the Executive Orders specifically terminate the long-standing practice of “parole”, whereby persons are routinely released in the United States shortly after their apprehension for irregular entry, until such time as an immigration court date can be set. 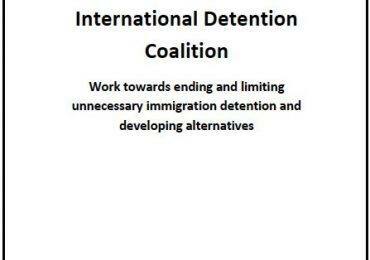 Successful alternatives to detention exist. 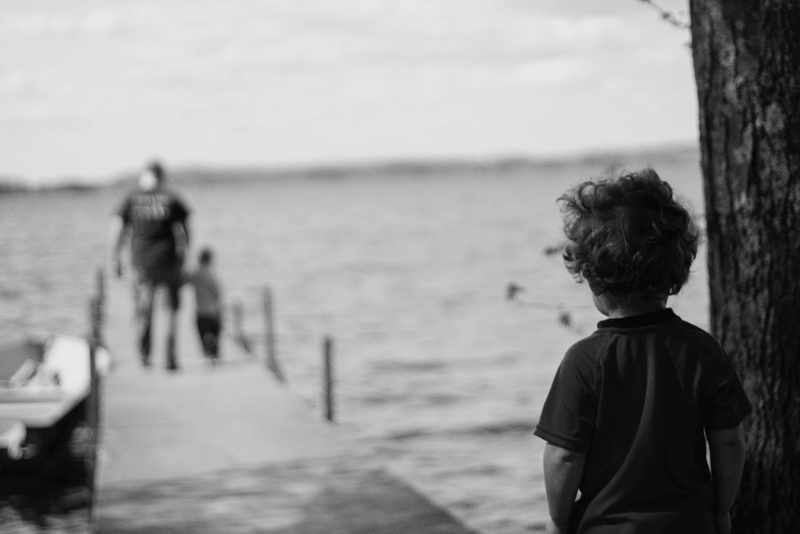 Community-based alternatives operated by nonprofit organizations provide support services and effectively ensure compliance with immigration court proceedings. But given the focus on detention, such opportunities are limited to an exceptional, case-by-case basis, and only when related to exigent circumstances such as medical emergencies. The Orders also threaten civil fines and penalties for anyone “facilitating” the presence of undocumented immigrants in the U.S. This could theoretically put at risk NGOs and faith-based organizations that are providing critical, life saving services to undocumented immigrants, including a number of informal alternatives to immigration detention, such as shelters. Such penalties will reduce the availability of services that encourage appearance and compliance with court orders and vulnerable populations will be driven further underground and immigration control and public safety will be further jeopardized. There is no statistical correlation between irregular migration and terrorism or higher rates of crime. Yet, the Trump administration continues to present immigration through the lens of national security, reinforcing the view that immigration detention keeps communities safe. 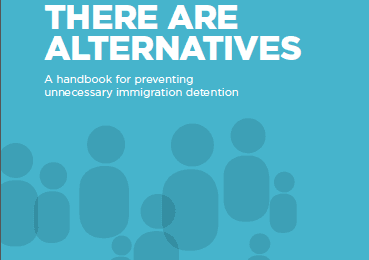 However, evidence shows that alternatives to detention are safe, effective, and less costly while still upholding the rights, dignity and wellbeing of immigrants themselves. The existing U.S. Risk Classification Assessment tool provides authorities with the information required to identify and respond to risk. The Trump administration’s temporary ban on refugee resettlement to the United States, and on migrants and refugees from six Muslim-majority countries, seeks to falsely link Muslim refugees and asylum seekers with terrorism. When first announced, this led to increased detention in airports and the risk of people being detained in other countries trying to come to the U.S. Alarming effects of the orders were seen almost immediately, such as when a 5 year old child was detained in handcuffs in a U.S. airport because he “may have posed a security threat”. By halving the U.S. government’s refugee resettlement program, the Trump administration closes America’s door to those who are most in need. This will leave tens of thousands of refugees in precarious situations, uncertain if, or when, they will be resettled. Some of these refugees are currently detained, or at risk of detention, in countries that do not provide recognized refugees with any status or documentation.